Knowle congregation is based close to the Broadwalk Shopping Centre on the Wells Road. . We are a part of the “Churches Together" in Knowle and Totterdown as we work together to serve the area in which God has placed us. The church has an active congregation spanning all age groups. We believe that part of our God given calling is to work in unity with local Christians whatever their denominational background. Sunday services take place at 10:30am and we tend to vary our styles of worship. Our Wives Group meets every other Tuesday at 7.30pm. We have an active Toddler Group which meets at 10.00am every Thursday during term time. The church is open on Wed mornings on 1st and 3rd Wed of month between 10.30 and 12 for anyone to drop in for prayer, some quiet time or a coffee. Today (12th July) the Toddler Group celebrated 20 years. The group has been organised by Yvonne Powell and Carol Wakeman who still run the group. It was celebrated with a special cake and shared amongst the children and their carers/parents. 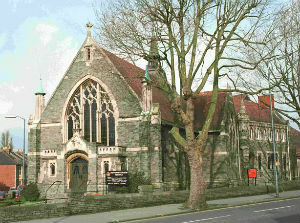 Knowle congregation supports the Methodist Centre at Lincoln Street throughout the year. Other charities such as the India Project (CRHD) are also generously supported as well as special appeals during world disasters.